In context: The concept of a business PC and the digital environment it enabled used to be pretty easy to understand. You bought a PC from a vendor like Dell, HP, or Lenovo, installed a copy of Windows and a copy of Microsoft Office on it, connected it to the network, and you were basically done. Today, however, there is an enormous array of different solutions to bring that same type of functionality to life for the modern business worker. From different types of buying, leasing, and hardware “as a service” business models for physically acquiring the PC, to several means of delivering the Windows desktop to a given device, to multiple choices of productivity suites and means of interacting with documents created with those tools, the modern enterprise desktop has become a surprisingly complex topic. At the recent Microsoft Ignite event in Orlando, FL, the company provided yet more ways to deliver a digital workspace experience to today’s devices. First, Microsoft joined the growing movement of companies offering physical devices as a service with their Microsoft Managed Desktops solution. 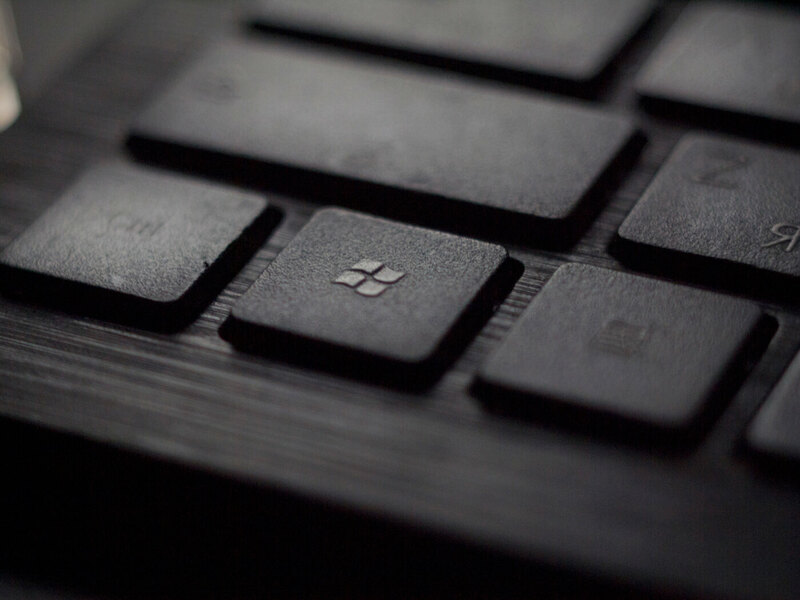 Like other device-as-a-service (DaaS) offerings from the big PC vendors, the Microsoft solution provides access to branded hardware products and cloud-based support and device management services for a monthly fee. Initially, the company is offering their own Surface Pros, but eventually they plan to make other PC brands available as well. In addition, Microsoft is providing some important (though likely expensive) differentiation by also bundling Microsoft 365, which includes Windows, Office 365, and integrated security features, as well as ongoing support for all that software, as part of the package. For those who already have the PCs they need and prefer a virtual desktop offering, the company also launched Windows Virtual Desktop, which includes licenses for Windows 10 and Office 365 bundled together and hosted on the cloud by Microsoft’s Azure cloud computing platform. This is the company’s first VDI (virtual desktop infrastructure) initiative under their own brand, and it delivers a secure and managed Windows desktop to whatever PCs a company has connected. Unfortunately, the industry has fallen into the naming trap of also calling this DaaS, but in this context, it means Desktop-as-a-Service, which is entirely different (though conceptually related) to the other Device-as-a-Service. In both cases, companies are getting access to a Windows desktop for their employees, but through entirely different means. Needless to say, this naming issue is a serious challenge that can trip up IT professionals, vendors, and industry observers who often end up talking in circles before they recognize the confusion. "In both Desktop-as-a-Service (DaaS) and Device-as-a-Service (DaaS), companies are getting access to a Windows desktop for their employees, but through entirely different means. Needless to say, this naming issue is a serious challenge..."
Despite the naming issues, however, the fact that Microsoft is now offering their own version of a managed Windows desktop via the cloud is actually a big step forward for the company and the whole concept of virtualized computing models. Many companies have large investments not only in lots of Microsoft software, but also service and support relationships, and this new offering will give companies who want to move for moving some of the tedium of desktop management, updating, etc., to a partner like Microsoft. In the process of developing this solution, the company was careful not to cut out partners, such as Citrix, who have had desktop-as-a-service offerings for some time. In fact, Citrix just announced a new partnership with Microsoft that extends from being a Microsoft certified Cloud Services Provider through a variety of channel and service offerings. As part of it, they will offer a new version of Citrix Workspace offering that builds on Microsoft’s Windows Virtual Desktop offering. In addition, they will be developing a new DaaS solution that leverages Windows Virtual Desktop but also includes Citrix’ extended capabilities for multi-device support, app virtualization, app management, desktop management, and integration with other Citrix tools. On the Office side of the desktop experience, Microsoft announced a number of important new initiatives that add more contextual intelligence and overall smarts to the applications. While it’s hard to imagine finding new capabilities that don’t already exist in the feature-laden MS Office suite, the all-inclusive search capabilities delivered via Microsoft Search, as well as the AI-driven Ideas functions look to be attractive new add-ons for most users. Integrating enterprise-wide search across Office 365 lets users get access not only to files, but even elements of files, such as charts and data, that can be incorporated into their own documents, which can be a huge help in many organizations. Ideas builds on the concepts found in the AI-powered Designer feature introduced in PowerPoint last year and helps make suggestions not just on elegant designs, but spelling, consistencies, and other details that just make using the applications feel smarter. I’ve been an active user of Designer, and I look forward to how the Ideas instantiation of the concept extends the capabilities even further. In addition, Microsoft has incorporated Ideas into Excel by adding what look to be some very clever new capabilities that can look for patterns and anomalies in data. For those of us who work with large sets of data, these capabilities can be both incredibly powerful and tremendous time savers. Altogether, the combination of new ways to deliver Windows and Office experiences in easier (and smarter) ways adds up to a surprisingly useful set of additions to what many often perceive as a very slow-moving market. They also highlight how the combination of the cloud and AI are extending their influence well beyond more esoteric applications of the technology into our day-to-day computing experiences. From my perspective, that’s definitely an important step forward for us all.